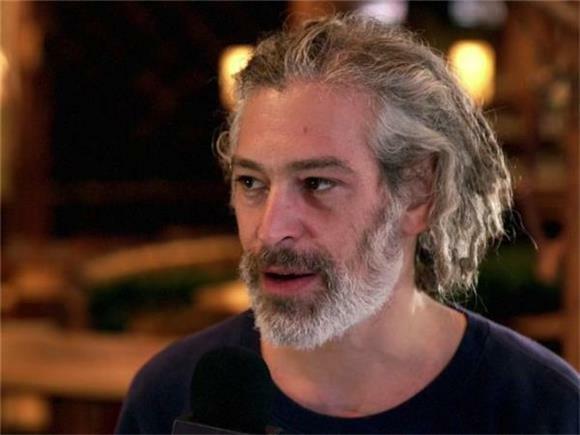 For our latest Writer's Block session, we caught up with reggae/hip hop artist Matisyahu, who is a force to be reckoned with. This was evident when he came to Baeble HQ to perform a couple of songs, "Carry Me," "Shade From The Sun," "Surrender," and "Sick For So Long." With nothing but his voice and a somber electric guitar, the songs themselves were strong enough to shake the room. "Your eyes, they sparkle / my love, it glistens," he sings in the last song of the session, before diving into a seriously impressive and powerful beatbox outro. After how well the session went, Matisyahu invited us to join him at City Winery in Manhattan the following week before his show. We met up with the singer a few hours before he took the stage and the mood definitely lightened up (in comparison to the melancholic session) when I admitted that I knew nothing about beatboxing. However I was interested - determined - to learn, so I asked Matisyahu if he could teach me the basics; if he could give me a little "beatboxing starter kit" that I can effectively use after I left the venue and tried on my own. His response? "You're gonna be able to do it. I feel like your lips are juicy enough." Oooomg, Matisyahu just called my lips juicy. Stay calm, Kirsten. STAY. CALM. Of course, because this is Writer's Block, we also went into the details behind his songwriting and spirituality and how the two connect, and how even though he technically left Orthodox Judaism, it will always be with him. "It's like a relative," he explained. "It's a part of me. It's something that will hopefully, throughout my life, be something I'll dip in and out of. I don't really have a tendency to stay in any one place for too long and I like to explore different things." Dive deeper into this emotional session and conversation, out now.